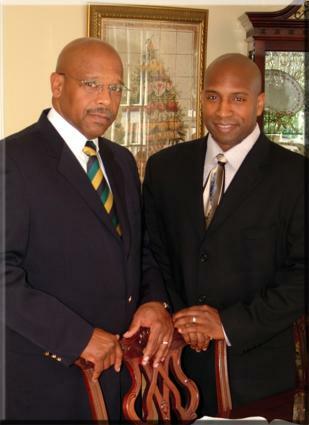 Charles Buffington and Charles Buffington III are the co-authors of He Said It! I Did It!, an innovative book about personal financial management. Father and son recently took time out of their busy schedules to share information about debt, financial management, and investing with LoveToKnow readers. Enjoy the interview! How important is it nowadays for people to actively manage their personal finances? Son: I think it is more important today than at any other time to be proactive about our personal finances. In past generations, people didn't feel the need to actively manage their finances. The old paradigm was to work for a company long enough to retire and collect a pension. There was also the prospect of collecting social security upon retirement. Now we are seeing companies do away with pension plans, and social security is not guaranteed for Generation X.Now that the corporate and public safety net is not assured, the average American has to become financially literate so that they can plan for their retirement. Young people need to learn to start investing as early as possible and set specific goals. If you fall into my generation or older and you haven't started managing your personal finance, you are late to the party. There are no do-overs. The longer you postpone investing and managing your personal finances, the longer you will have to work. Instead of deferring gratification today, you could risk deferring retirement. No one wants to have to work in their golden years. Dad: Active financial management is not a choice because the responsibility has shifted for employers to employees as evidenced by the decline of defined benefit pension plans and the rise of self directed plans such as SEP IRAs and 401k plans. The government has also stepped away from providing "guaranteed" retirement benefits. Also because of increased worker mobility (no job security), healthcare is a major expense and issue. Given these trends it makes perfect senses to learn how to manage your financial life. What is the best way to create a budget and stick with it? Son: The standard answer to this question is to take your current take home income, and create a budget that includes charitable giving, savings and investments and living expenses plus putting aside money for emergencies and vacations. I would suggest setting a budget that is lower than your current take home income. This allows people to have some margin for error. It also takes into account that you may not always make as much as you are making today. We assume that our income will continually go up. However, there are often life disruptions like layoffs that force people to take jobs with incomes less than their current pay. If you are blessed enough to enjoy a steadily rising income, you have that much more money set aside for investing. Once you set your budget amount, I suggest separating out the expenses that you must pay from those that are luxuries. If your expenses are more than your income, you will need to make some lifestyle adjustments in order to fit your budget to your income. Once you have established a budget based on your priorities that fit your budget amount leverage technology to make automatic payments. For the rest of your budget items, pay on a cash basis. Refrain from using credit to pay for groceries and miscellaneous expenses. Even if we intend to pay off the credit card every month, often times we outspend our budget unintentionally which gradually builds into a mountain of debt. Budgeting is hard, so we have to have a concrete vision that we want to work toward to motivate us to stick with our budget and defer gratification. Make sure that you have constant reminders of your ultimate goal to stay motivated. After living within a budget for a while, it becomes natural and comfortable to live at that set lifestyle. Dad: The best way to create a budget is to track your actual spending for a period of time and decide what you can live without then make a realistic budget that you can live by. Track your actual spending for the next period and adjust your budget accordingly. Always tie your sacrifices to a higher goal such as getting out of debt or saving for a house. Set realistic goals and celebrate the small victories along the way. Son: All debt should be treated with suspicion, but there is a difference between good debt and bad debt. Good debt provides leverage. Bad debt erodes your future earnings and net worth. Good debt is a home mortgage, educational loan, or business loan. These forms of debt provide means of production that can increase your net worth. Bad debt is consumer debt used to buy items like clothing and luxury items. A simple way to understand the difference is to ask yourself if the debt is helping you increase your net worth or decreasing your net worth. The home can increase in value which increases your net worth. Education provides you the qualifications and skill set to make more money. What does the Gucci bag get you? It gets you a status symbol that subtracts hundreds of dollars from your net worth. Also, the debt used to purchase that bag will cost you over time a lot more than you paid for it. Conversely, good debt, if used wisely, will increase your net worth over time. Dad: In our book, He Said It! I Did It!, we devote an entire chapter to debt. In fact, debt is a recurring theme. There is a difference between good debt and bad debt. We advise people to avoid toxic debt, which includes consumer debt. Toxic debt is really borrowing against future earnings at an interest rate for things that do not increase in value. Constructive debt is debt like student loans, business loans, and mortgages. Even that debt should be handled with care. They are essentially calculated risks that the outcome will build net worth beyond your current net worth, but they are risky nonetheless. How can someone who lives paycheck to paycheck plan for retirement? Son: Many Americans live paycheck to paycheck. The best way for a person in this position is to make simple adjustments in their budget to allow them to save at least a little money to invest every month. For most people, setting aside $5 will not cripple their lifestyle, but it would allow them to invest $150 per month. This could be an adjustment as simple as ordering water when they eat out. It could be forgoing Starbucks coffee for the free coffee in the office. For everyone, the adjustment will be different. The point is that it doesn't take a wholesale change in lifestyle to set aside money to invest.An often overlooked and under utilized investment option is the 401K. Many people do not take advantage of their company's 401K plan. If you are not investing in your company's 401K plan, you are leaving money on the table. Most employers will match your contribution to a certain percentage. Additionally, this investment can reduce your taxable income which is more money for you. Make small adjustments and invest at least up to the matching amount your company offers for 401K. Dad: Stop living from paycheck to paycheck! Cut expenses even if it means making a radical change in your lifestyle. Charles III cites examples of how he changed his lifestyle to make room for investing for retirement. Saving for retirement may mean making radical changes in your lifestyle like selling your car or getting a second job or even changing your living situation. No matter what changes you decide to do, it is important that you take steps to save for retirement. Are there any other investment strategies that you could suggest to someone who is just starting out? Son: I suggest you start investing early and often. A person investing a set amount at an 8% return starting at 22 and stopping at 32 while letting their investment grow will yield more at 64 than someone investing the same amount at the same return starting at 32 and stopping at 64. The lesson is that the earlier you start investing the better. Find a mutual fund with a strong track record and start saving today. Dad: I suggest that you max out retirement plans. Use payroll saving plans and dollar cost average into a no load low expense mutual fund such as Vanguard total market fund. Do you have any other tips you can offer to those looking to take control of their personal finances? Son: I think that the key is to make a sober assessment of your current financial situation. Set a clear vision that you can see and feel. Then go to work setting a budget that will eliminate your debt while reaching your vision investment goal within a set period of time. Create a workable budget. Find creative ways to save money. Attack your highest interest debt first, and invest now.Dad: Start right now. Read He Said It! I Did It!. For $20 or less and 2 hours later you will have a great start on a lifetime education and success in growing your wealth for good. Where can interested parties learn more about managing their personal finances? Son: You can get our book, He Said It! I Did It! on Amazon.com. This book will provide specific, practical advice on managing your personal finances. There are also great websites like bankrate.com that provide a ton of information on everything relating to personal finance. Bankrate.com has several calculators that will allow you to establish a budget and see the impact of your financial decisions from college loans to home mortgages. Dad: Look for our radio show coming in March on www.voiceamerica.com. Also read our He Said It! I Did It!. There is a wealth of resources that we have linked to on our website www.hesaiditididit.com . Websites like www.bankrate.com and www.motleyfool.com provide you with valuable information and calculators to help you make informed decision about your personal finances. Charles W. Buffington, Jr. is the founder and president of C.W.Buffington & Associates, a management consulting practice. He is an ordained deacon and for the past 6 years has served as the chairman of the stewardship ministry at the Greenforest Community Baptist Church in Decatur, Georgia under the pastoral leadership of Dr. George O. McCalep, Jr.
As a teacher and speaker, he has led stewardship revival in churches across the country. Deacon Buffington has authored numerous bible studies and workshops on financial management, church planning and giving. Prior to forming his current organization, Deacon Buffington worked for the Bell System. He retired after 25 years service as vice president of business sales for Bellsouth Business Systems. Deacon Buffington and his wife Minnie reside in Alpharetta, Georgia. They are the parents of Charles III, the co-author of He Said It! I Did It!. Charles W. Buffington, III is a graduate of the United States Military Academy at West Point. He also holds a Masters of Business Administration from Emory University. He has been an account manager for a major telecommunications provider for seven years, and he is an instructor at the University of Phoenix. In his spare time he is a real estate entrepreneur, and an active member in the Technology Park Toastmasters Club in Norcross, Georgia. Charles is married to Susan Buffington and resides in Roswell, Georgia. He is the proud son of co-author Charles Jr. and Minnie Buffington.